FirstBank’s mission is to help businesses get big. It’s one of the reasons we advertise customers on billboards and feature them on our blog. It’s also why we partner with our customers for different programs and campaigns such as Food Truck Friday or Capture the Cube. If we have a corporate event or a customer appreciation effort, we always try to hire our business customers first. We not only want to help customers out when possible, but we believe in them and want them to feel like they have a true financial partner in this world. More than that, we get to know our customers, their business and understand their goals. 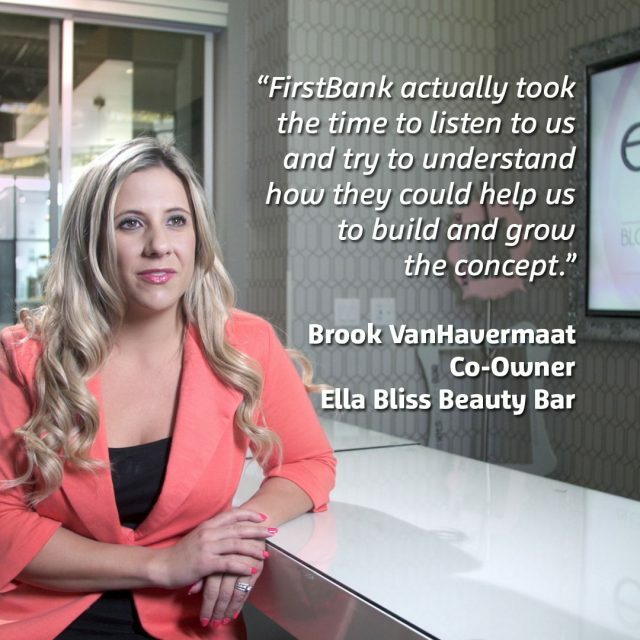 Learn how we formed close relationships with Leopold Brothers, RE/MAX, Never Summer Industries, Ella Bliss Beauty Bar and Rafterhouse to help their business grow.